This could be the horror flick of all horror flicks. 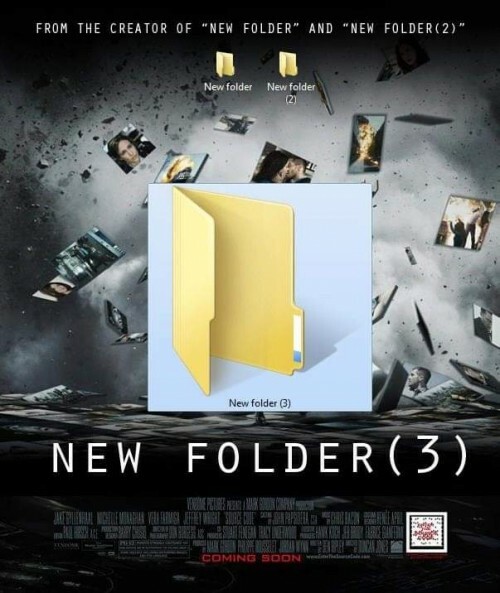 Many empty new folders exist on my computer. They seem to multiply. I guess this would be a movie for cinefiles. Let me just file this comment under “Brilliant”.